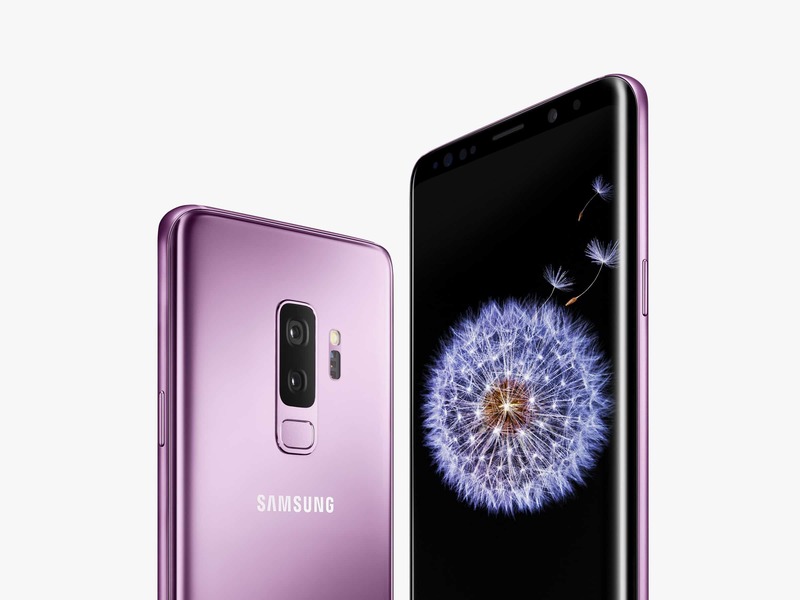 A little over a week ago, Samsung ushered in their new line of Galaxy S devices in the form of the Galaxy S9 and Galaxy S9 Plus. The S range has long been the pinnacle of the Android OS ecosystem but saw their lead at the top slowly eroding in recent years until the S8 overturned any of the loses in sales against major competitors up until then. The 2017 devices brought a fresh approach to their flagship range, which included a major design overhaul and great specifications to match the sleek new look. 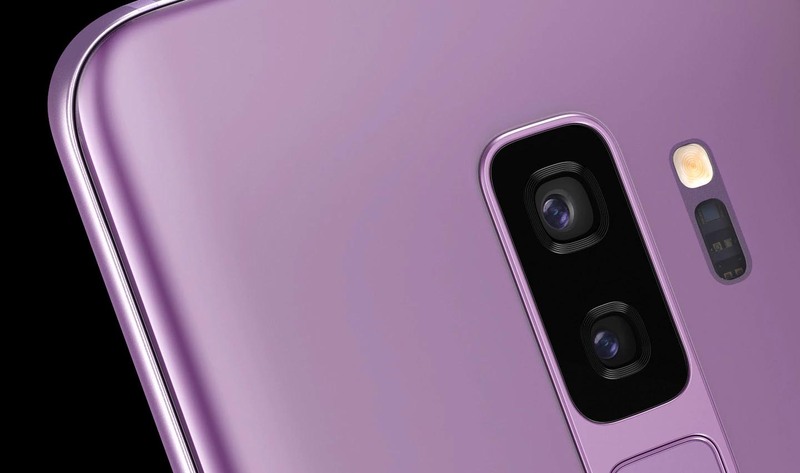 While the S9 may have underwhelmed in the looks department on launch day, there was more than enough packed into the one-hour announcement event to get tongues wagging. It was clear to see that Samsung placed a lot of bets on their improved camera technology, which now includes a dual-aperture capability and better low-light imagery, but after spending a lot more time delving deeper into what makes the device tick, there’s a lot more to love than just the camera. The company spent a lot of time and effort making improvements to their entire eco-system – but does it all add up to a device worthy of replacing your S8? If you’re looking for a major shake-up in terms of the build and design, you won’t find that on the S9. What Samsung has done, however, is fine-tune some of the annoyances their users experienced on the S8 in 2017. These design changes include the relocated fingerprint sensor, the glass screen, amongst a few other changes. 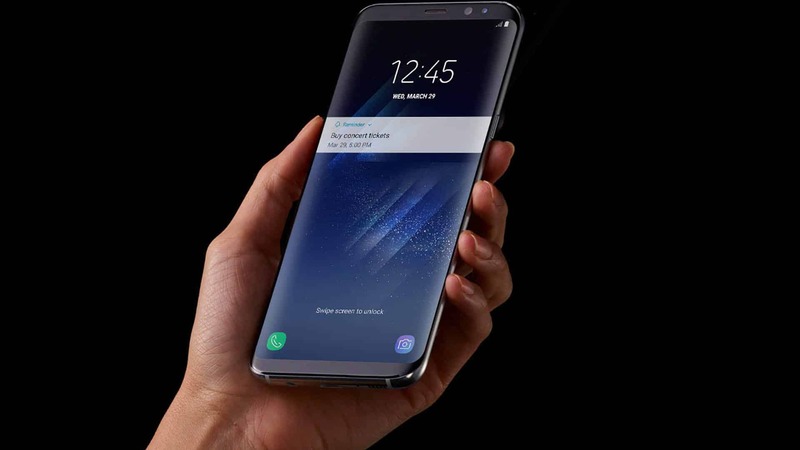 Given the success and overwhelmingly positive feedback on the S8, which was a dramatic exit from the previous 7 devices launched carrying the Galaxy S moniker. So there wasn’t a real need to aim for the revolutionary design two years running. That said, let’s take a look at some of those small changes to the overall design. Firstly, there’s a slight difference in the bezel of the front glass panel. The edging is slightly sharper, without being sharp, as you can feel the edges running across the outside, adjoining the front and back sides. As for the glass panel itself, it feels a lot smoother to touch, and my fingers could glide across the screen with ease feeling like butter. The curved edges also feel somewhat less pronounced, but after a side-by-side comparison between the S8 and S9, I wasn’t able to confirm this. It could just be the sharper edges creating this illusion. The most notable change in terms of the design was the new location for the fingerprint reader, which on the S8 was positioned to the right of the camera, but has thankfully been moved to below the camera, in the centre. This made an almost immediate difference when using the device to unlock. But, with the improvements on the facial recognition, you wouldn’t find yourself using the fingerprint sensor all that often. But more on that later. As for the ports, buttons and sensors, they remain all the same as from the previous S8 device. There is the addition, however, of a small opening on the top side of the device, which serves as a speaker grill for the newly included Dolby Atmos surround sound support. The quality of which, although doesn’t fully mimic the 5.1 capabilities in your standard home theatre system but does fair a lot better compared to other smartphone audio. There is an element of surround sound effects, which can be enhanced by means of placement between cardboard to better direct the sound. In the end, it’s a lot clearer and crisper than on the S8 without the tinny tones we’ve become accustomed to. Knowing how deep my displeasure runs for loudspeaker audio, this is a welcome change and pleasant surprise. We can’t discuss the physical dimensions on the S9, which measures 147.7×68.7×8.5mm. The S9, then, is 0.5mm thicker, which may not seem like much, but is quite noticeable. 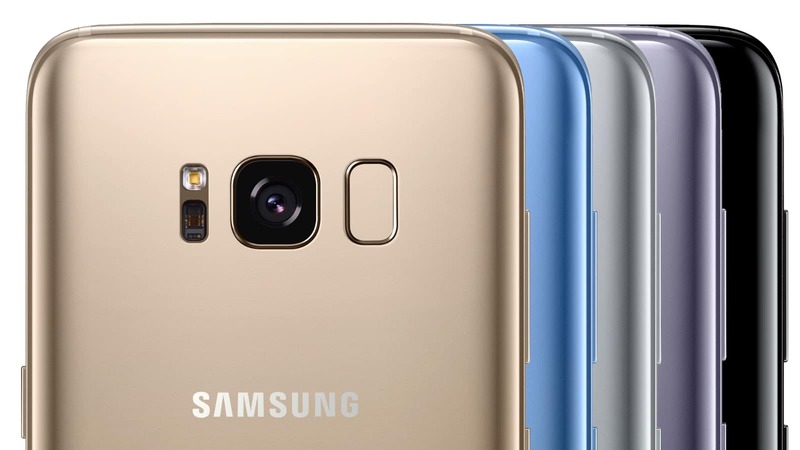 Given some of the structural concerns on the S8, Samsung took steps to rectify the durability, which the company claims increases the device’s drop protection by 20% on the aluminium chassis. Another aspect of the increased ruggedity is the switch of aluminium alloy, switching from the AL 6013 version to AL 7003. The unit is also slightly shorter than the S8. And with the same size screen, this means that the top and bottom bezels have been shopped even more than it was on the S8. Screen-to-body ratio now beats that of the iPhone X at 83.6%. Overall, then, Samsung has made quite a number of improvements throughout the design, making it feel better while also being more durable, all the while keeping the same good looks. Having already touched on the new screen surface that makes quite a big difference in terms of touch and gestures, let’s discuss some of the other features on the screen. The S9 features the same size panel of the S8 with 5.8″ screen and a 1440x2960px resolution on a Super AMOLED panel. On paper, the panels are almost identical from what is shared in terms of specs, but side by side there’s different a small difference in colour reproduction and brightness on the S9. Samsung has always held high levels of pride in their screen technology, and the latest panel ekes just that more out of an already outstanding display. As is always the case, there’s a lot of fuss in terms of the latest hardware specs and capabilities in terms of the performances. 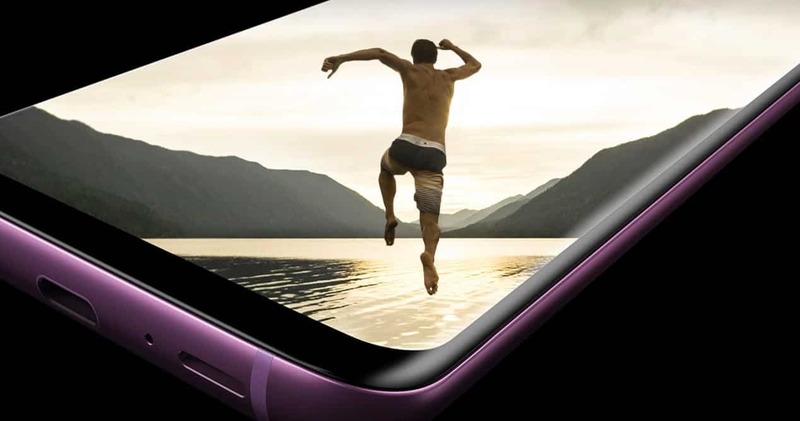 Samsung has fitted their latest flagship with the new Exynos 9810 Octa chipset, which sports an Octa-core processor with 4×2.7GHz Mongoose M3 and 4×1.8 GHz Cortex-A55 CPUs. This is accompanied by the latest Mali-G72 MP18 GPU, 4GB RAM, and the choice between 64, 128 and 256GB storage capacities, while still keeping the microSD card support. Alongside the latest Android OS, as discussed in the next section, the performance improvements on the S9 are promising. While running a few benchmarks tests can show proof of an increase of between 10 and 20% in overall performance, the real-world environment needs to reflect this too. Comparing a few tests included some high-resolution, high-processing gaming, video streaming, and the likes, which all indicated the same level of benchmark improvements. Gaming, especially, indicated a decent boost in CPU and GPU power, which transferred into an increase in fps. While we wait for game developers to start creating meaningful games, said to compete against console level graphics on the Vulcan platform, the increased computational power on the S9 does enough to improve the experience over the lineup of 2017 smartphones. Samsung has fitted the same specced, non-removable Li-Ion 3000mAh battery as on the S8, so you won’t have too many games in that regard on paper. Having said that, the S9 does a much better job of battery optimisation as a result of the latest Android OS 8.0 and CPU efficiencies. In recent months, I’ve become an even bigger smartphone power user, which meant that I’d have to keep my portable charger nearby in the event I run low on juice. During the average day, I notice quite an improvement in terms of the battery performance, and with a few timers set, I was able to manage an additional hour or two on the S9 on average. I’m not the biggest proponent of 15-minute quick-charges that are said to provide an additional hour or two battery life as a result. That said, the process works well, and I was able to get going again after just 15 minutes. I wouldn’t suggest you do this often, trying to keep your device between 25-80% charge. The overall performance of the Galaxy S9 is positive, stepping up the game in almost all areas over the S8, again without creating a complete overhaul from the previous year. One of the biggest gripes most Android users have comes from the lack of regular and speedy update releases for the devices. Most South Africans wouldn’t have received the Android 8.0 update on their S8 devices as yet, with limited rollout across the globe, while we’re awaiting network operator sign-off. I was happy, then, when the S9 launched with the latest firmware version, which provides a lot better native integration to the many different features of the software. There are a host of changes as a result between the S8 and S9, with inclusions such as long pressing an app shortcut, which allows you to directly choose your action without needing to open the app beforehand. A lot the other features have also been streamlined, with Samsung opting for an even more vanilla build of Android than the S8, which was already a marked improvement. Undoubtedly, the standard feature on the Galaxy S9 is it’s upgraded camera. While those less tech-savvy people may not notice the difference in terms of megapixel count, the unit sports a dual-aperture capability, which makes quite an impression. This isn’t the first time the technology has been used on a smartphone, that honour belongs to the W2018 launched in 2017 as a China-only exclusive. What this feature does it provide different light settings for your photos. The aperture, in layman’s terms, is a hole through which light passes from the lens onto the sensor. A wider hole means more light is able to pass through, which results in much better low-light images. The opposite occurs during the day, when a too much light is passed onto the sensor, creating washed out images. The dual-aperture feature switches between the two apertures to get the best out of different lighting conditions. The difference in photos is quite noticeable. The daytime images aren’t drastically different, although nighttime, low-light images are quite distinct in comparison. A few ultra-dark testing with both the S8 and S9 cameras provided a good insight as to the improvements here, and you don’t have to be an expert to notice it. While Samsung has once again opted against the dual-lens camera, their dual-aperture camera hits the right spot for novice photographers, aka Instagrammers. There are also a few other features/gimmicks added to the camera app, including AR Emoji, Super Slo-mo and Live Translation via Bixby. The AR Emoji has been one of the most talked about features on the S9, taking cue from the iPhone X’s animoji. This time, however, users are able to take a selfie, which is then analysed and processed, and converted into an animated version of yourself, complete with a host of new gifs of your newly created emoji. I found the feature quite interesting, and it bore some resemblance to me. It, however, doesn’t seem to work as well for all faces, with different characteristics and contours. The gifs and videos created are a fun way of interaction on messaging apps such as WhatsApp, providing a new level of customistation. The Super Slo-mo function isn’t new by any means, having been seen on the iPhone and Sony’s Xperia XZ Premium. It’s still a nice to have though, and fun to use, allowing you to create slow motion videos of live action events. The feature isn’t flawless, however, as you aren’t able to choose exactly where you want your slow motion to start capturing, instead automatic the process. The Live Translation is one of the more useful features on the camera, apart from taking photos, of course. Users are now able to walk up to a sign post written in a different language and be able to read the translated text on your phone, all in real time. Pretty impressive. All in all, the Samsung Galaxy S9 isn’t the great overhaul many expected after the high expectations set by the S8 launch in 2017. That said, almost all aspects of the new device have been improved, some just a touch, while others a more noticeable difference. The big stand out from the list of improvements is definitely the new camera, which gives users access to dual-aperture functionality, which also provides great low-light imagery. In addition to all the little improvements scattered throughout, one important aspect of the device is its price. While many may be complaining about the cost of the smartphone, it’s notable that the South African pricing has remained the same at R15,499, while the rest of the global market has received increased pricing. As for whether you should replace your existing S8 device, it’s a bit of a strange one to conclude. While the S8 can easily still stand up to scrutiny today when it comes to comparing other devices, the overall improvements on the S9 make it easier to recommend the device, even to the point where I could comfortably suggest that the latest flagship is worthy of its praise.